Are you looking for some great San Diego coupons? Want to save money on fun Things to do in San Diego? We have information and tips on how you can save money while you have fun with these free San Diego coupons and discount tickets. 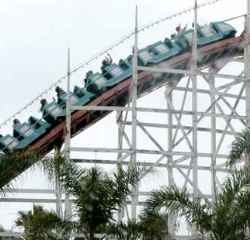 Are you in San Diego on vacation, and want to see many attractions? Then a San Diego Go Card is a great way to save. For one low price, you get access to over 50 attractions, saving up to 55% compared to individual tickets. The San Diego Go Card is flexible because you can choose how many days (1, 2, 3, 5 or 7 days passes), or using Go Select, you can select certain attractions to visit (e.g. 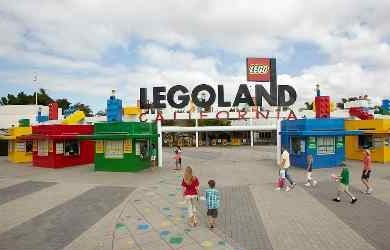 just Legoland and the Birch Aquarium). Either way, you will save money with these great discounts. The Go Select option allows you to pick and choose the attractions you want, and save money! This is the best choice if you just want to attend a few attractions. Buy Your Go San Diego Card: 3, 5 and 7 day cards! A San Diego City Pass is a great way to see the best San Diego attractions if you also want to see Disneyland. But it is even better, because it is actually part of the Southern California City Pass (as is the Los Angeles City Pass). Southern California City Pass card is a great way to see all the major Southern California theme parks in one great vacation. My friends visited from New York and loved it. 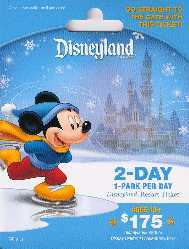 This discount pass is good for 5 full days of theme park admissions during a 14 day period. You get 1 day at Legoland California, 1 day at Sea World San Diego, and three day park hopper pass to Disneyland California and California Adventures, including FastPass and one Magic Morning early day admission. You will save about 26% off the main entrance prices. Ticket prices vary slightly as they offer discounts from time to time, but recently they were $326 ages 10 and up, $283 ages 3 – 9 through aRes Travel, where you can find discounted prices. For an additional fee, you can purchase the San Diego Zoo option - 1 day at your choice of the San Diego Zoo or Wild Animal Park (Safari Park). aRes Travel is an online reservation system that offers San Diego discounts on all the popular attractions, including Sea World, San Diego Zoo and Safari Park, Disneyland, Universal Studios and many more. You can get discounts for just one attraction, or they offer various vacation packages to save even more money. Check them out at aRes Travel Discounts. The local Southern California Costco stores have a variety of San Diego discount tickets. Depending on the season, they typically have SeaWorld San Diego discount tickets, discount tickets to the San Diego Zoo, San Diego Wild Animal Park discount tickets, San Diego water parks discounts, movie theater discount tickets, Universal Studios discounts, Belmont Park discount tickets and San Diego restaurant discount cards. For more information on how to get discount tickets from Costco, see Discount Tickets from Costco. Clipper Magazine - lots of San Diego restaurant discount coupons, usually including 50% off entree for Broken Yolk Cafe, a popular breakfast and lunch spot, and 1/2 off Cold Stone ice cream, the best ice cream in San Diego. Also I've seen $5 off discount coupon in here for the San Diego Zoo, Wild Animal Park, Belmont Park, $10 off coupon for Legoland California (and choice of Legoland Water Park or Sea Life Aquarium), and buy one get one free for Birch Aquarium and K1 Speed racing. 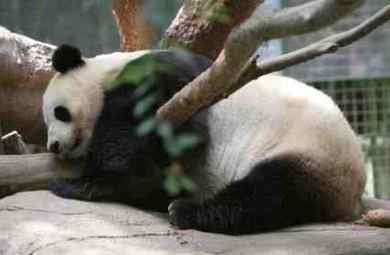 Get1Free - you can usually find a $5 off discount ticket in here for the San Diego Zoo, and Wild Animal Park. Community Guide - more San Diego coupons for restaurants, including Broken Yoke cafe and Blue Fin Sushi, one of the best Sushi restaurants in the San Diego area. San Diego Reader - Lots of discounts, including Broken Yoke Cafe coupons, and information on happy hour and events in San Diego. The Daily Save Online Coupons - A perfect way to save money at your favorite San Diego attraction or adventure. Each day The Daily Save offers 50% off one particular item, such as snorkeling tour of La Jolla Bay, day spa treatment, or Halloween haunted places tour. Just sign up and receive a daily email with the offer of the day, and save big. Groupon Coupons - Groupon offers daily coupons for your favorite attraction of discount, such as paddle board lessons at OEX Dive and Kayak. Signup now for Groupon Savings and each day you'll get an email with an offer to select. www.groupon.com. A great way to save money at San Diego Attractions and Restaurants is to buy a San Diego Entertainment Book, which is packed full of San Diego coupons. This is great for locals and tourists who frequent San Diego on a regular basis. You can usually pay for your purchase with just one or two coupons. Belmont Park Mission Beach – buy one unlimited ride wrist band and get one unlimited ride wrist band free ($22.95 for those 50 inches and taller, $15.95 for those under 50 inches). This is one of the best San Diego coupons deals. Reuben H. Fleet Science Center – Buy one Gallery Experience Ticket and get one free. One of my favorite places to visit and of course I love these San Diego coupons for all the museums! The Entertainment book is full of San Diego Discounts and 2 for 1 Coupons. They are sold by local schools or online. 1. Ask for a phone number to call them back. If they won't provide one, don't do business with them. 2. Tell them they will need to provide an ID and a bill of sale. That will scare most scammers away. 3. Don't buy plastic gift cards without a store receipt showing they were actually purchased. 4. Meet in a public place like a fast food restaurant. 5. Bring a cell phone and a friend. 6. Bring a bill of sale and ask them to sign it. Verify their identity with a look at their drivers license. 7. Trust your instincts. If you don't trust the person, don't buy tickets from them. 8. Maybe your friend can snap a photo with the cell phone, just in case (in front of their car with license plate if you are really lucky). 9. If you up a victim of a scam, report it to abuse@craigslist.org, and notify the police. 1. Check out our San Diego Events page for current events. We try to highlight free days, half price admission times, etc. 2. Large employers typically have an discounted tickets available. Ask your HR department to start one if you don't already have one. 3. Become a member of groups like the San Diego Zoo or Birch Aquarium, and enjoy a tax writeoff for your membership. You might pay for your membership with just one or two visits, and can receive free guest passes and San Diego coupons too. This is a great way to help support these organizations and have fun too! 4. Ask your friends - maybe they have tickets or passes they can't use, and would be happy to give them to you or sell them to you at a discount. Post a notice at work. 5. Volunteer - you will usually get free admission. 6. Ask about senior, military, AAA or other discounts and San Diego coupons. 7. Just ask - maybe they will help you out!